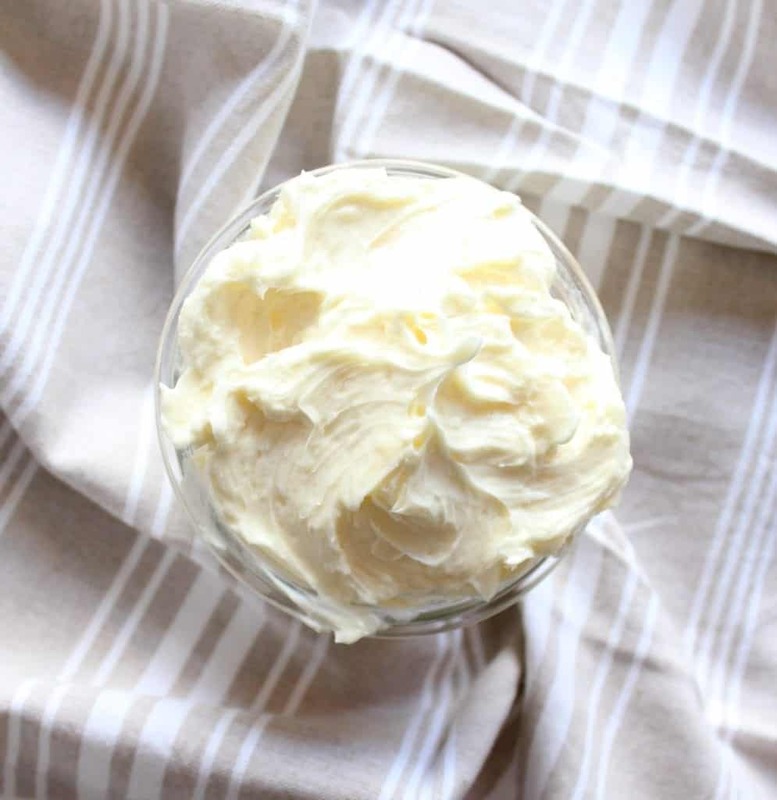 Soothe your winter skin with this simple Homemade Whipped Lavender Body Butter. 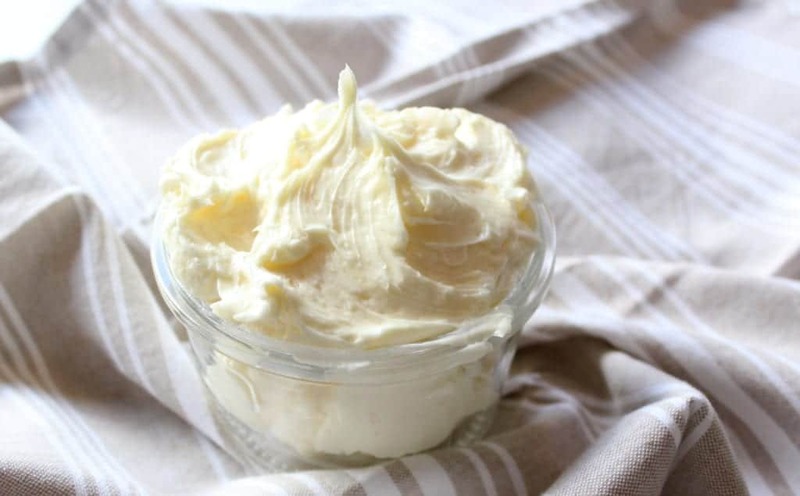 It looks like frosting, smells wonderfully relaxing and will make your skin so soft! When Brian and I lived in Denver, the constantly dry air played a toll on our skin. Honestly, I thought that the humidity of the midwest would help cure my sore hands, but unfortunately I was wrong! My hands are SO dry, I can barely wear my wedding ring right now because every little thing is causing an irritation. I knew I needed a solution and FAST. 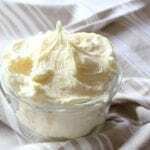 A couple of years ago, I made a Homemade Whipped Body Butter as a gift for my family and friends. 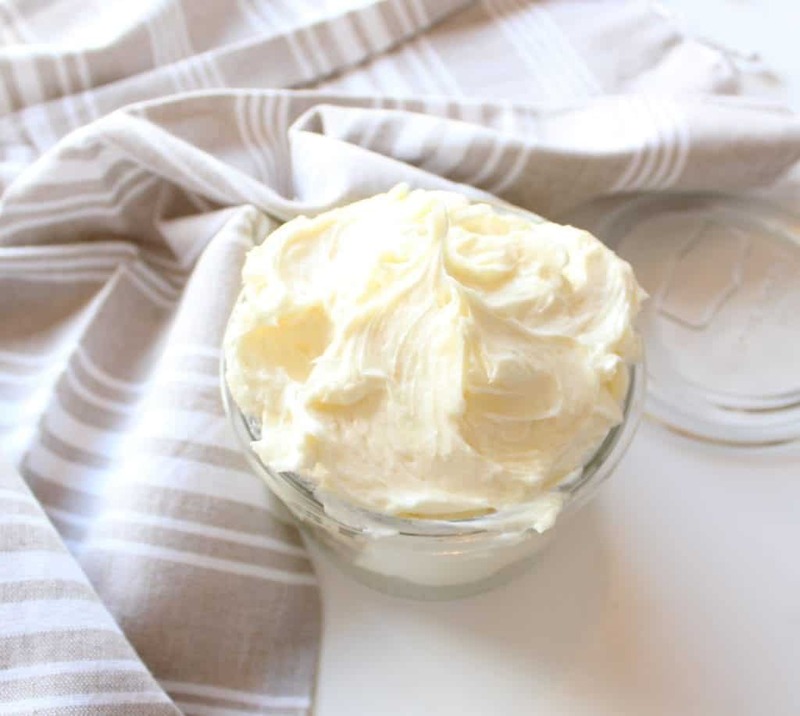 In the midst of trying many different store-bought lotions, I remember that this homemade stuff totally did the trick when I made and used it before. 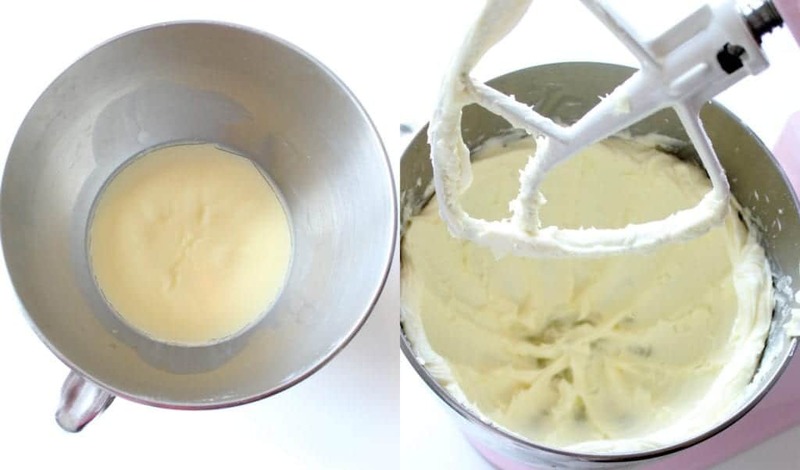 It’s so simple to make, looks like frosting, and will make your skin super soft. Just what Brian and I needed for our poor dry hands. This body butter is a combination of shea butter, coconut oil, jojoba oil, and lavender essential oils. 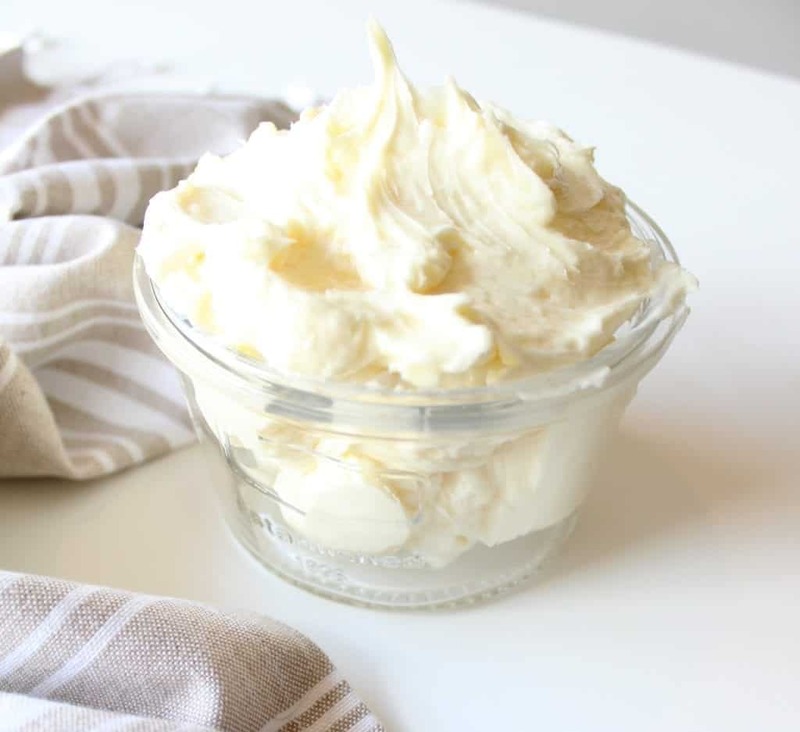 Shea butter comes from the seeds of the fruit of the shea or karite tree and it is high in vitamins A and E. No wonder this stuff will make your skin feel amazing! Jojoba oil is often used as a carrier oil for essential oils, and I’ve seen it in several products that my sister sells at her salon. As I mentioned above, the process is really simple. Just melt the coconut oil and shea butter together, then mix in the jojoba oil and essential oils. Then, place it in the fridge to harden (either in a mixer bowl or a bowl you can use hand beaters in) for 1-2 hours. Melt the coconut oil and shea butter over low heat. This will take about 10-12 minutes. Mix in the jojoba oil and essential oils. 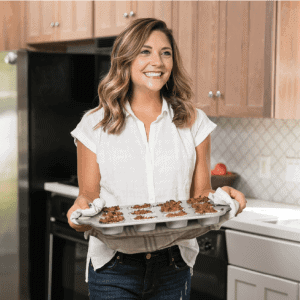 Pour the mixture into the bowl of a stand mixer or a bowl that you can use a hand mixer in. Set in the fridge to harden for 1-2 hours. When solid, whip for about 10 minutes or until it looks like frosting. Store in a sealed container and use where you would use lotion. Do you have a go-to remedy for super dry skin? This is so cool! 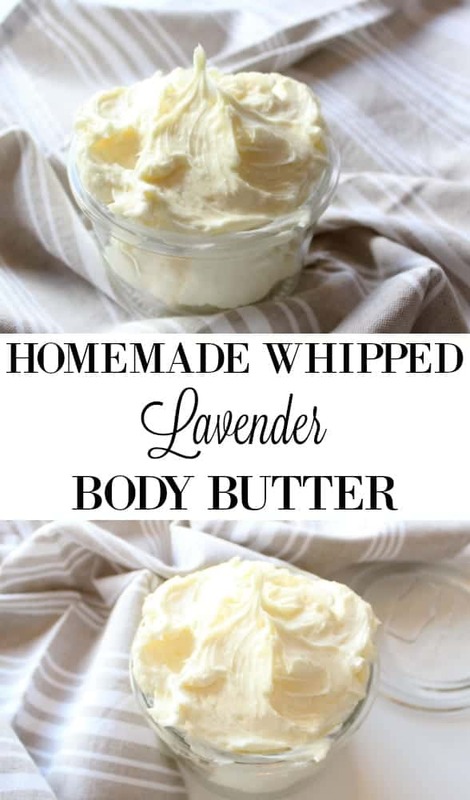 I always have body lotion or even better, butter on hand, but never thought to make it myself!